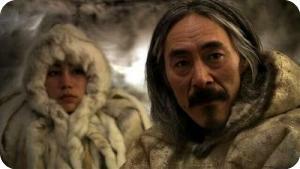 The sets for Atanarjuat were all authentic Inuit dwellings, made from traditional natural materials such as ice blocks, animal skins, rocks, sod, and snow. Igloos, for instance, were crafted from real snow blocks - not styrofoam as in some Southern productions about life in the Arctic! The wearer of this necklace is shaman and camp leader. 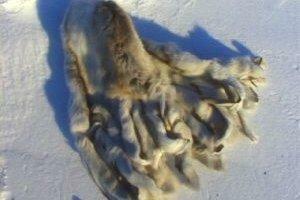 It signifies authority and supernatural power, commanding respect and obedience from the rest of the camp's inhabitants. 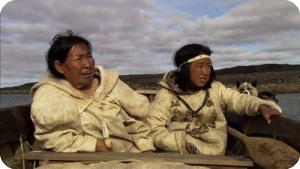 In the film, this qamutik (sled) belongs to Atanarjuat. 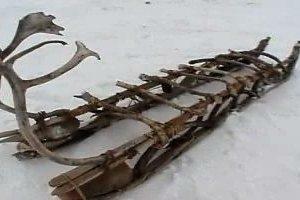 It is made of caribou antlers and bone carefully laced together with sinew cord. Water is drizzled on the runners until it freezes, then made slick with a scrap of fur so that travel over the ice and tundra is swift and smooth. 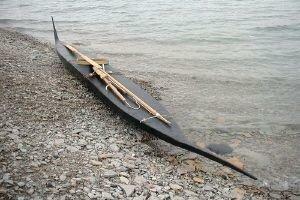 In the film, Atanarjuat paddles to shore in this qajaq (one-man canoe), toward his summer camp and his wife Atuat, who is now expecting their son. 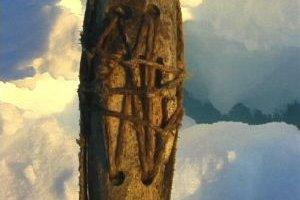 In the film, this set of hunting tools is made of intricately laced bone and sinew. The forked kakivak (fish spear) requires impeccable hand-eye coordination and timing. 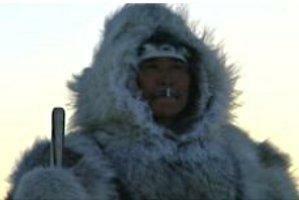 The unaaq (spear) can be used hunt a variety of animals, such as polar bear, seal, walrus, beluga, and narwhal. Iggak (caribou goggles) are carved from the antlers of the animal. 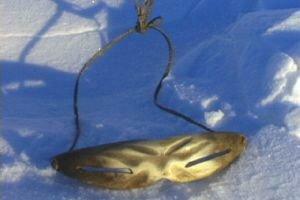 They were worn to protect the eyes from the harsh glare of sunlight reflected on the ice and snow in the Arctic. 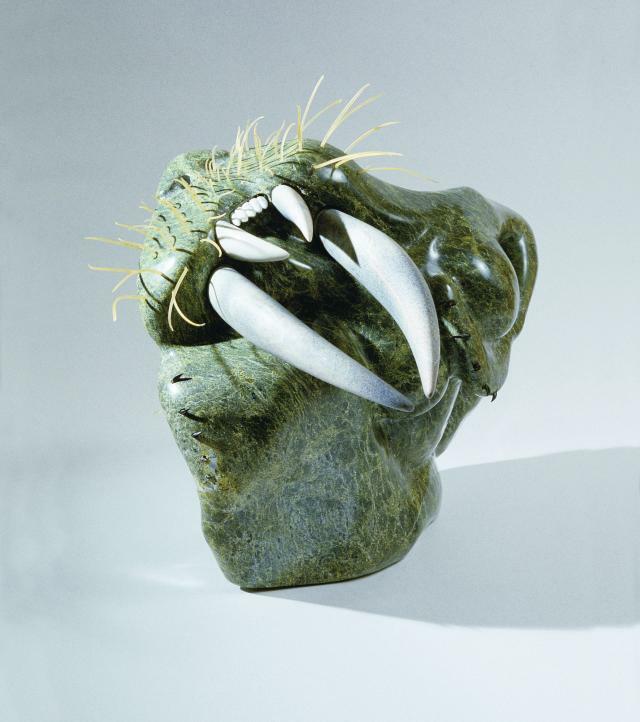 The filmmakers assembled a group of talented local artisans to re-create the props used in Atanarjuat. 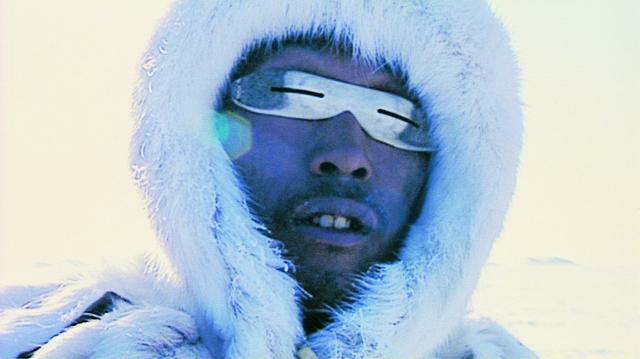 Made of warm wolf fur, this parka was worn by Atanarjuat on his return to Igloolik after a long period of exile and soul-searching at the camp of Qulitalik. 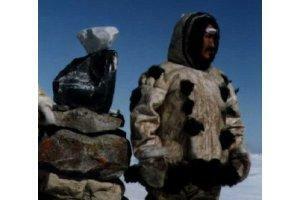 This parka is worn by the original camp leader and shaman Kumaglak. 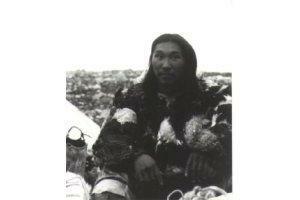 His murder in the presence of the Evil Shaman, Tungajuaq, sparks the bloody feud between Atanarjuat and Oki's families. 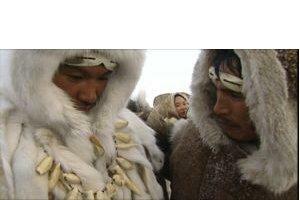 The raven feathers sewn on the skin of the parka indicate that the man wearing it is a shaman. 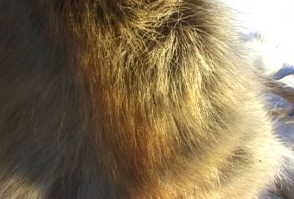 This winter nasaq (hood) was worn by Oki in the film. Made of wolf fur, the hood has long tentacle-like strips encircling the neck, the effect of which is to make Oki look fiercer and meaner.